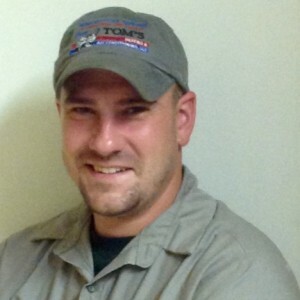 Mountainburg, AR Heating and Air Conditioning Service by Tom’s Heating & Air Conditioning LLC provides heater and air conditioning repair, service, installation and services in Mountainburg, AR and surrounding areas. Check out what some of our customers are saying about Tom’s Heating & Air Conditioning LLC Heating and Air Conditioning services. Called on a Monday afternoon, Technician called on Tuesday morning to confirm our appointment, arrived on time, quickly diagnosed the problem, had the new parts needed to replace the air handler fan motor and capacitor on the truck, checked the freon and other components while there (all were correct), and house is warm again. Best of all, my wife is happy and thus, I'm happy. Tom's Heating and Air Condition did the replacement installation when we updated the house in 2005 and they've maintained the system for over 12 years. We're very happy with that! Thank you for taking the time to review the service Brad provided for you, and for such a wonderful rating. Thank you so much for your long term Business with us and your continued support and trust with us. I very much appreciate it.